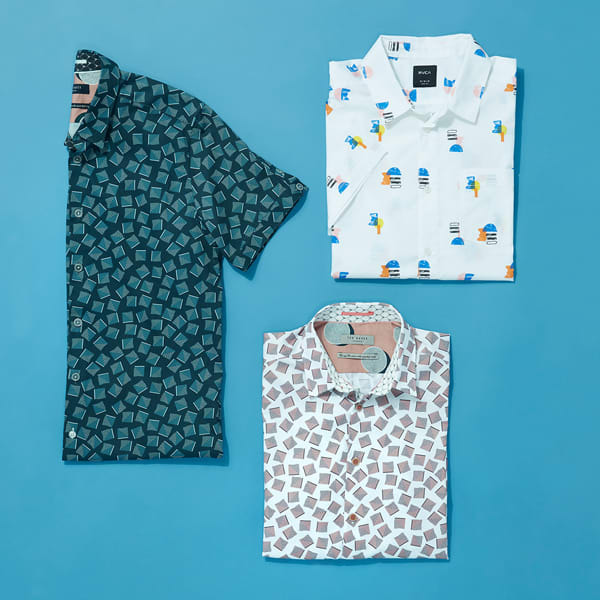 Summer is the season for having some fun, so why not add a new print to your wardrobe? Geometric prints are great as graphic accents and come in a versatile range of shapes and motifs. They really pop when added to bathing suits, button-downs, and accessories. There's something for everyone—and every day of the week. 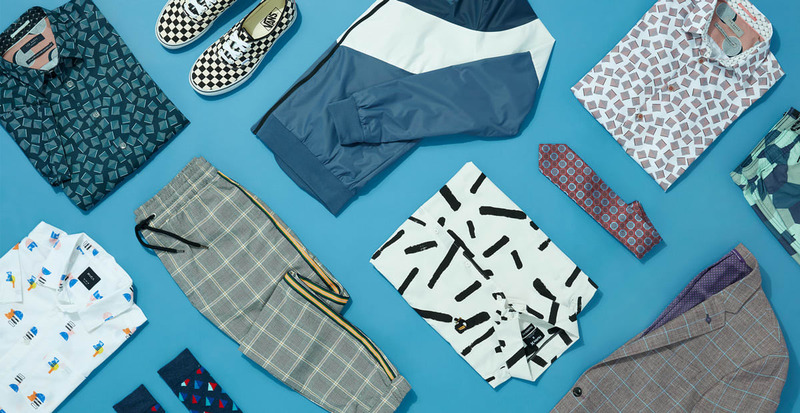 Here's our guide to wearing geometric prints, whether your personal style leans toward crisp-corporate or life-of-the-party. Getting dressed for the office? 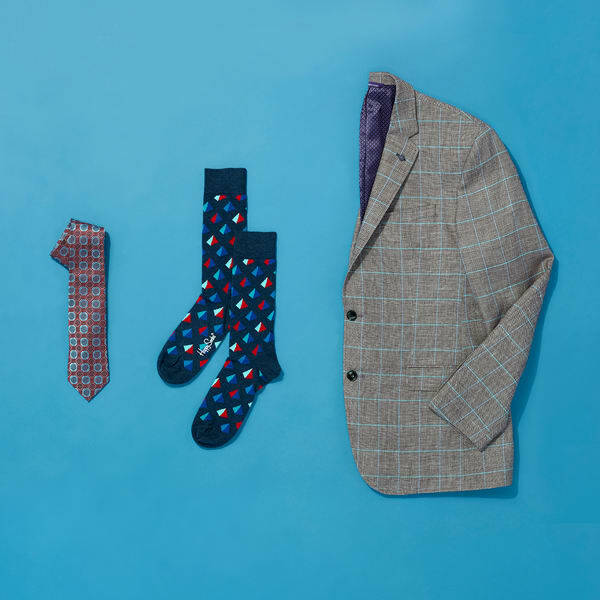 Add a subtle print on a tailored sport coat or let your graphic socks peek out a little. A bold tie is another easy way to switch things up with an interesting angular motif. Weekend style is effortless to upgrade with dynamic prints and sharp angles. 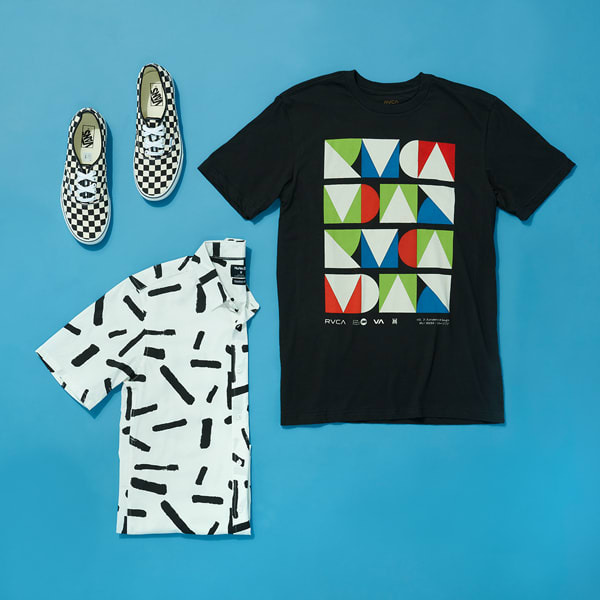 Opt for an all-over print with a geometric vibe, a graphic tee, or a cool checkered sneaker. Hint: ‘90s style cues are an instant win. 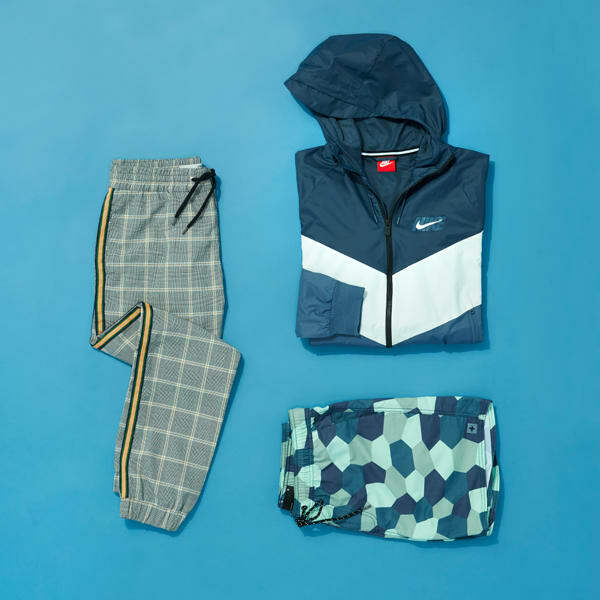 Bold contrast and sharp lines make for fresh style statements in printed swim shorts, active-inspired jackets, and even basics like joggers. Try the angular print trend out with these summer-ready athleisure favorites. A timeless structure and a stand-out print will never steer you wrong. A classic, crisp button-down lends itself perfectly to a geometric print, which easily be pairs with jeans or tailored slacks.